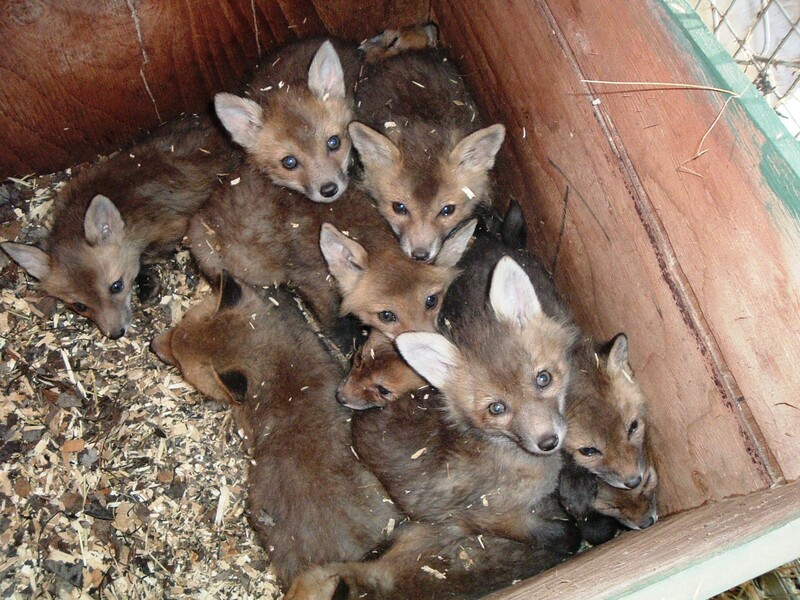 Check out this video of this years fox pups enjoying our adult female, Boo! 13 pups so far! This is them snuggled up in their little fox house, and just woke up and going to go into their BIG pen to exercise and play all day!